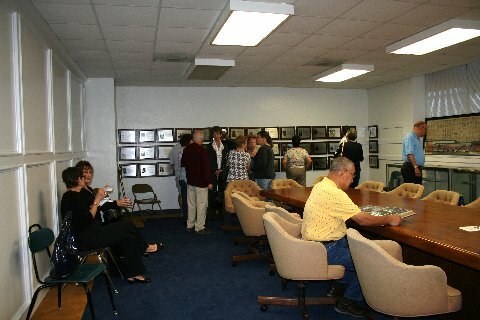 Milby Alumni Room with plaques on wall for some of those inducted into the Initial Hall of Honor on December 4, 2001. Note: There should have been another induction ceremony by now but has not been done yet. Ralph Cushman had the idea and the first induction was really a nice affair at the Hobby Hilton. His idea was to add to the wall every few years to catch up. Ralph died earlier this year. Boyce spoke to Owen Conerly about it again and he said it would happen within the next couple of years.